Have you recently lost a loved one? Do you know how to receive ownership of their home and money without spending 2 years in Probate Court and thousands of dollars on unnecessary legal fees? 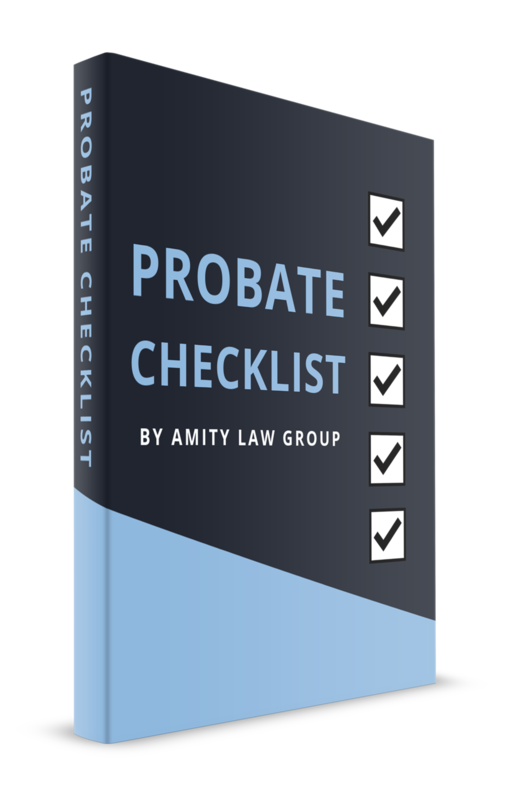 If not, download our free probate guide now to learn how to avoid delays in the probate process and ensure a smooth transition. Fill out the form below to get your copy instantly emailed to you. Thanks for downloading! Please check your email inbox to receive your FREE checklist. If you find the probate process daunting and need help, we’re here for you. Our team is always available during business hours to help answer your questions. We speak English, Mandarin, Cantonese, and Vietnamese! Your free consultation is 100% confidential and there's no obligation to hire us. Our experienced probate attorneys will advise you on the easily avoidable mistakes that could potentially shorten the probate process and save you money. Amity Law Group, LLP is an award-winning law firm in Rosemead, CA. Our team of experienced probate attorneys brings more than 25 years of combined legal experience assisting and representing families who have lost loved ones with matters such as probate and trust administration. We serve communities throughout the San Gabriel Valley and Los Angeles. Our legal team speaks English, Mandarin, Cantonese, Taiwanese, and Vietnamese.